I supposed to make 60 cupcakes for my niece’s Birthday on last week. 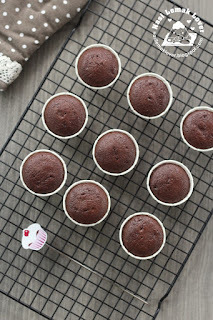 I planned to bake chocolate buttermilk cupcakes topped with chocolate Swissmeringue buttercream. But the end, I have to cancel this plan due to the bad haze situation (not sure when the school will be closed). 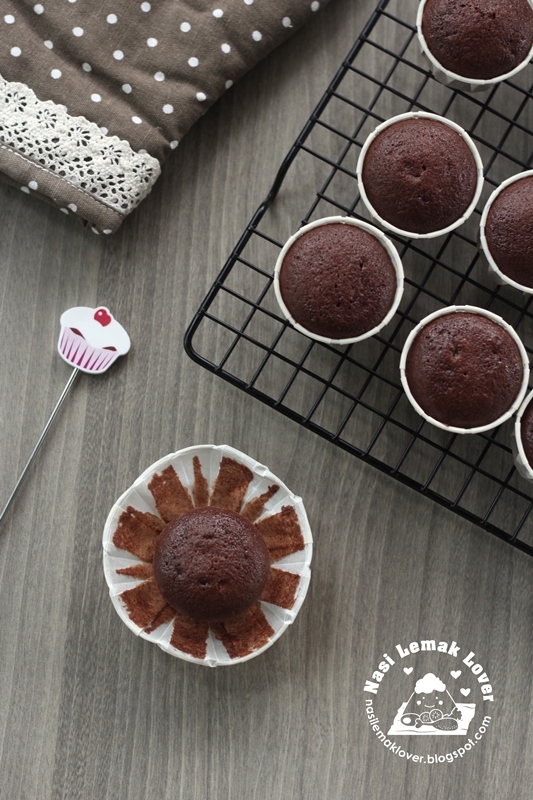 Anyway, since I already bought the buttermilk, so I proceed to make some chocolate buttermilk cupcakes. My personal opinion, buttermilk cake which is less greasy , soft and moist , are suitable to frost with buttercream. 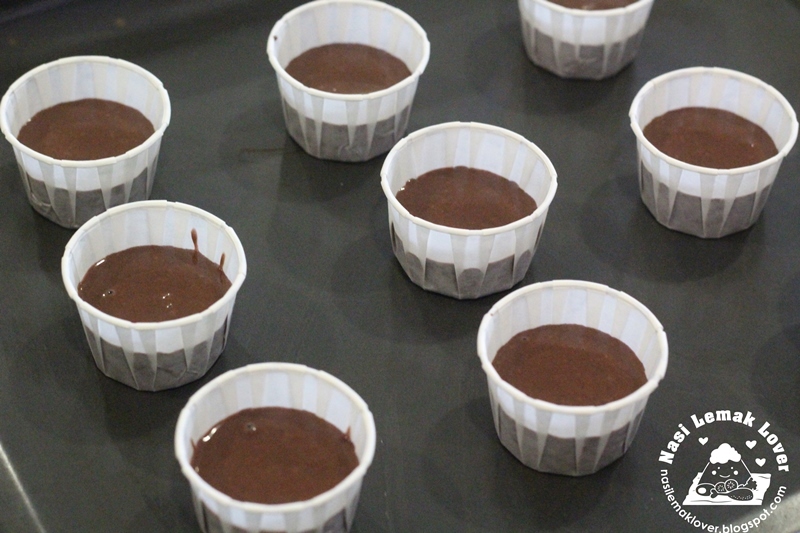 You only need to fill batter 1/2 full, as to get nice dome shape of cake after baked. And i only use 1 egg to get 9 cucpcakes ! 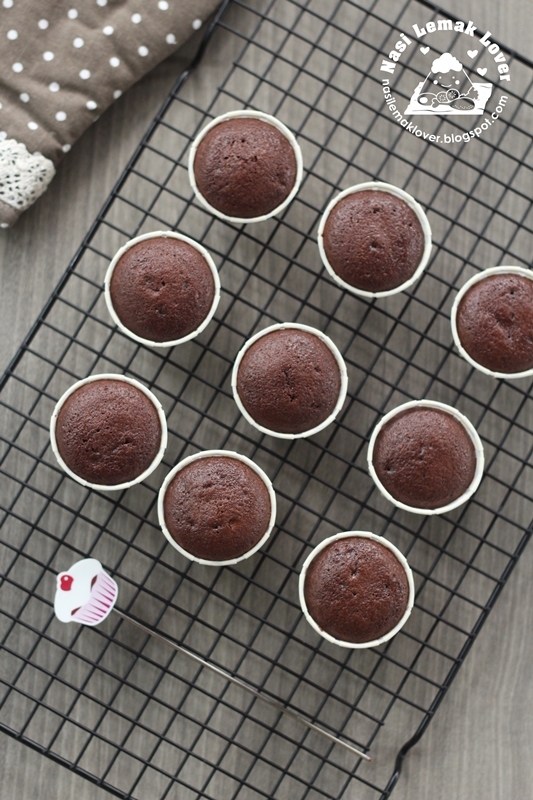 Combine cake flour, baking powder, baking soda, salt and cocoa powder together, sift into a clean mixing bowl. In another clean mixing bowl, add egg and sugar, use a hand balloon whisk to whisk till light. 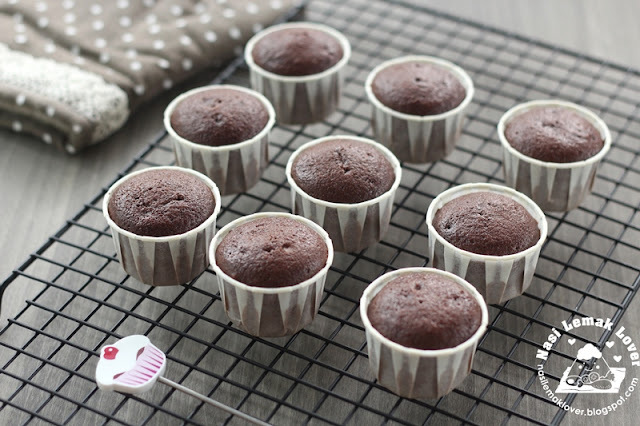 (if you make double quantity, suggest to use electric hand mixer to beat). Add in corn oil, whisk till combine. Add half of cake flour and buttermilk, beat to combine, then add the balance cake flour and buttermilk, combine well (the batter should be runny). 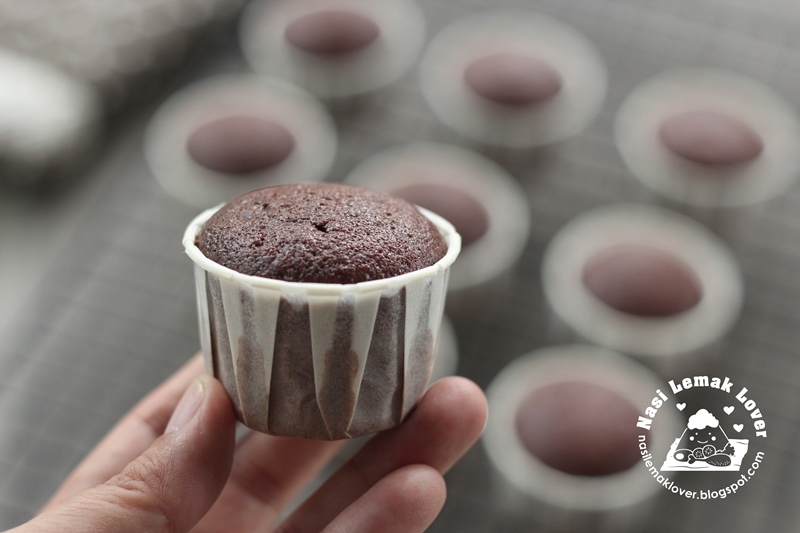 Pour batter into prepared cupcake liners. Fill to about ½ full. Bake at a pre-heated oven at 180C for 20mins. we could hardly find buttermilk around malaysia :( where did u get yours? Yes your top is smooth.. Mine cracks.. What is the reason u have any idea? 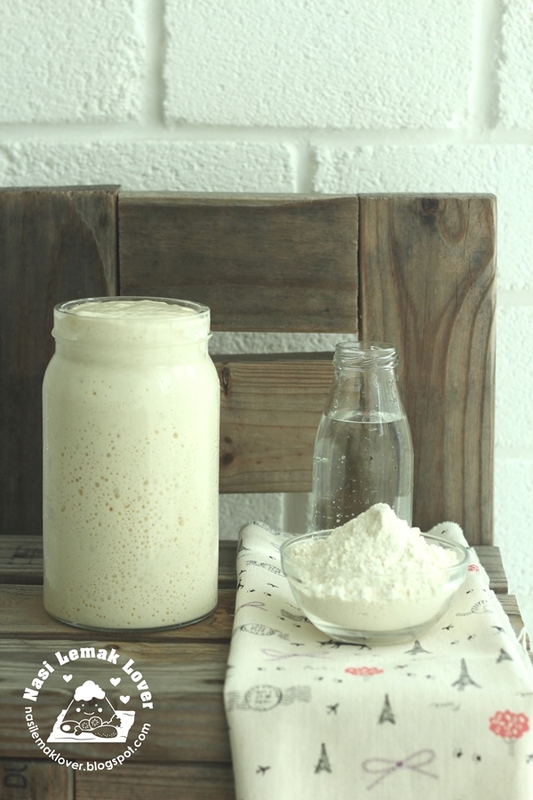 Hi, I just want to ask can I substitute cake flour with self raising flour? If I use self raising flour, will it be the same 75gm?